A school tour at the Clarke Historical Museum offers a unique educational opportunity for area children. There are new and ongoing exhibits about local history and museum guides ready to give tours. 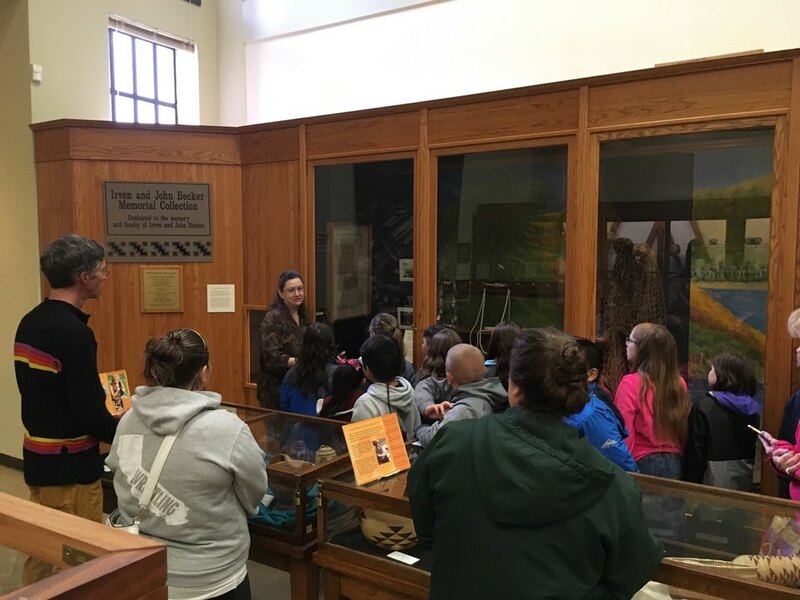 Our large hall devoted to local Native American culture is particularly appropriate for state curriculum, and the main hall provides changing exhibits on many aspects of Humboldt County’s rich heritage. Private tours of the Clarke Historical Museum are only offered to members. ​Docent-led guided tours are $25 per class and are an hour long. At the conclusion of the tour, each student receives a Clarke Museum activity book to take home. If there are specific things that you would like covered in your class tour, please let us know ahead of time and we will do our best to prepare something. We recognize that some school budgets are prohibitively tight. In an attempt to minimize the exclusion of school children due to financial issues, we invite classes on a budget to come on a self-guided tour. Donations for self-guided tours are welcome, but not mandatory. In conjunction with the self-guided tours, scavenger hunts are available upon request. Your support not only provides educational experiences to your students, it helps the Museum to continue preserving and presenting the fascinating history of our area. Contact us at caitlyn@clarkemuseum.org or 707-443-1947 for questions or to schedule your next school tour. With your inquiry, please include the grade of the students, how many there are, and the days and times that you would like to bring your class to the museum. You can also view our Tour Contract on our Teacher's Resources page.